The IC 606 FG II is a 2-way in-ceiling speaker. Part of our 600 line, these speakers are based on the best materials and the most advanced technologies available. It is designed for critical listening, and is the ideal choice for moderately and relatively large rooms. The IC 606 FG II distinctive shape and advanced technology makes it the perfect choice for front, center and rear-channels in a first-class home theater solution. 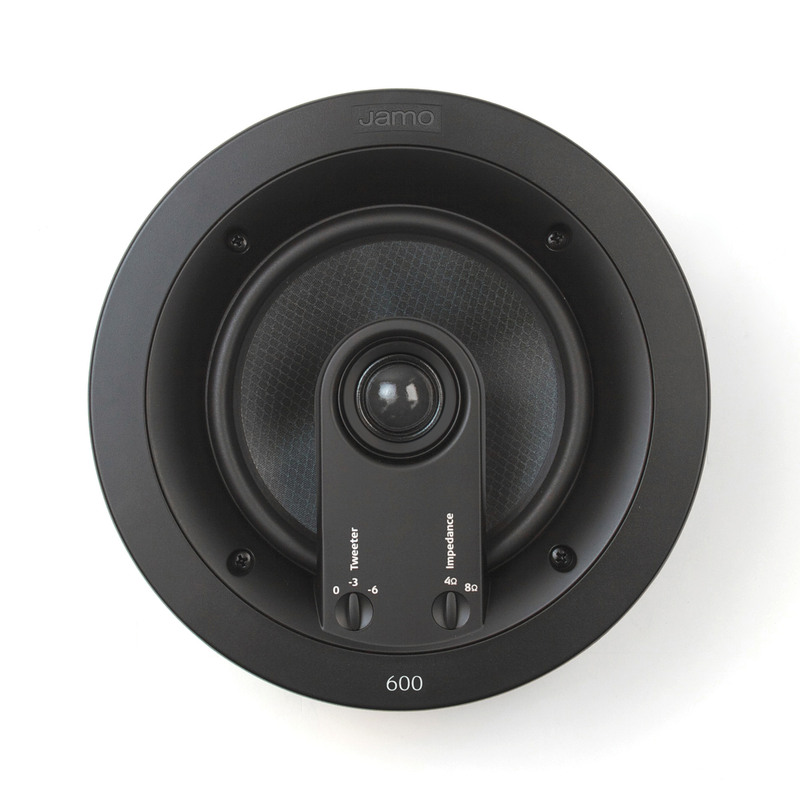 The IC 606 FG II is designed for critical listening, and is the ideal choice for relatively small rooms. It is often used in moderately sized living rooms, dining rooms, and other rooms where excellent sound from a diminutive speaker is desired. The model is designed for in-ceiling installation, but its compact size makes it suitable for other placements as well. With its paintable magnetic grille, the IC 606 FG II is designed to blend seamlessly into its surroundings so all you notice is the remarkably detailed, great sound. The IC 606 FG II delivers rich bass in an in-ceiling speaker from its 6.5-inch honeycomb woofer and crystal clear reproduction of high frequencies from the 1-inch DTT silk dome tweeter. The IC 606 FG II provides high performance to enhance your movies and music whether it's installed in the ceiling or in other locations.